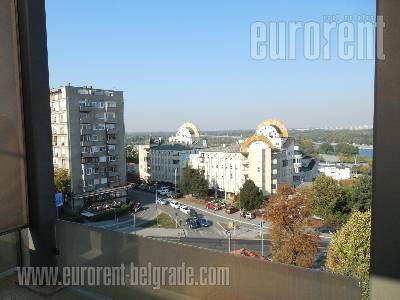 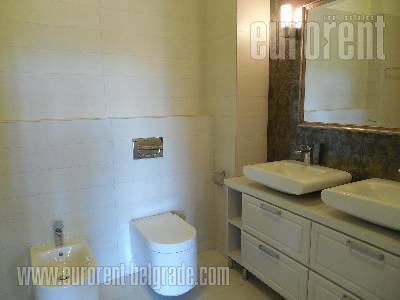 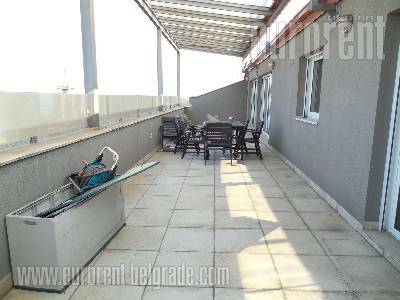 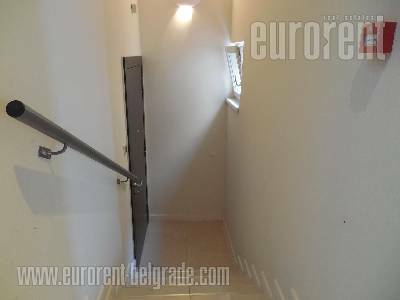 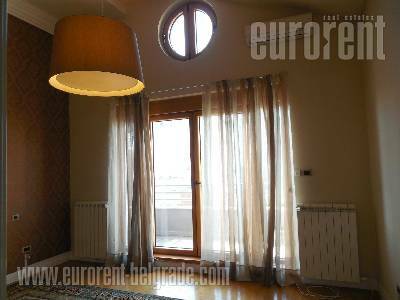 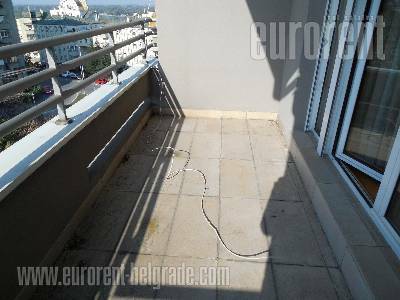 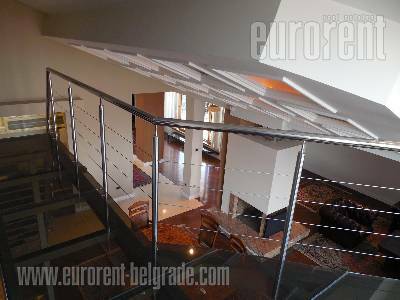 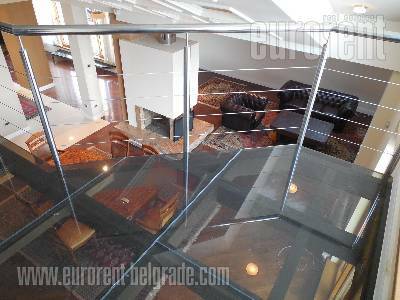 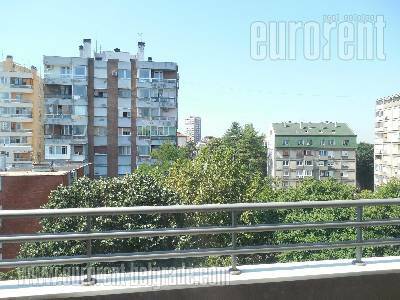 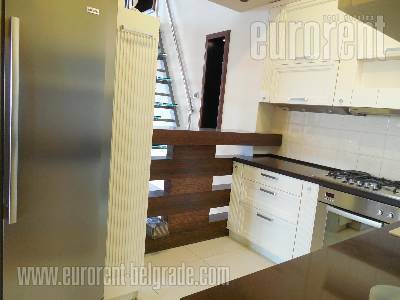 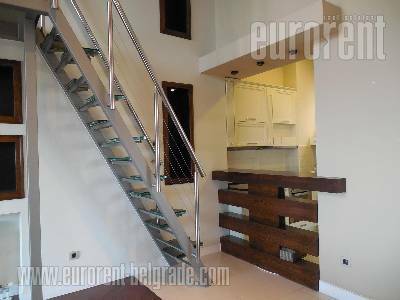 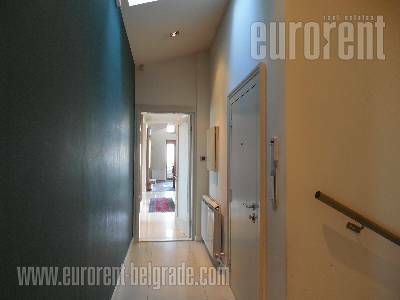 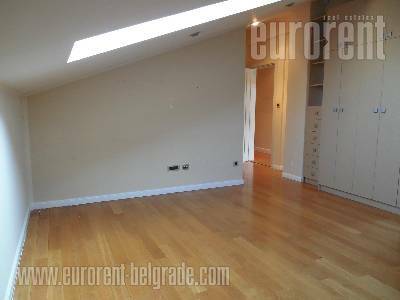 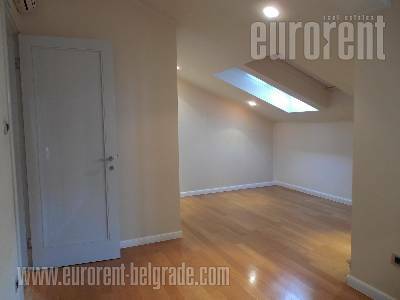 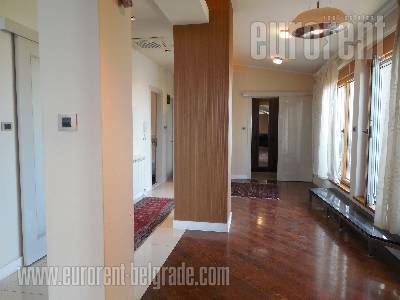 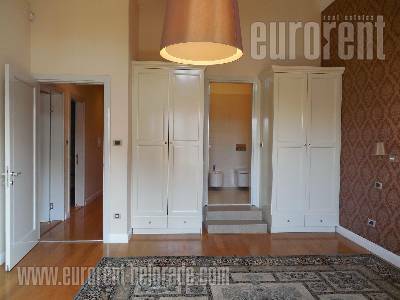 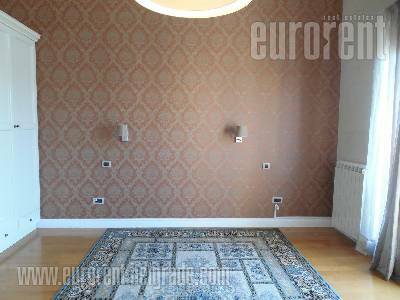 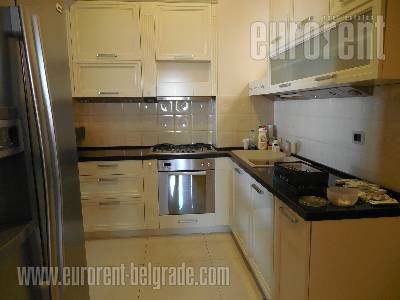 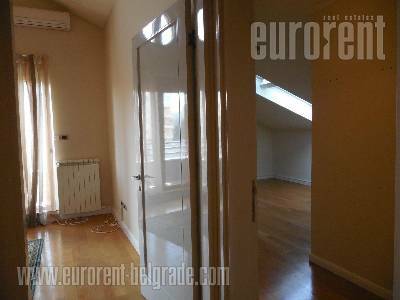 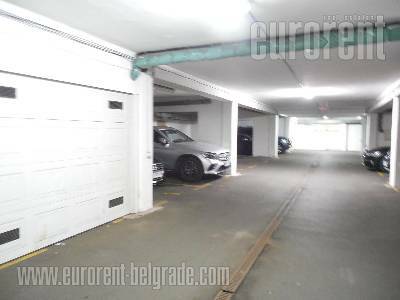 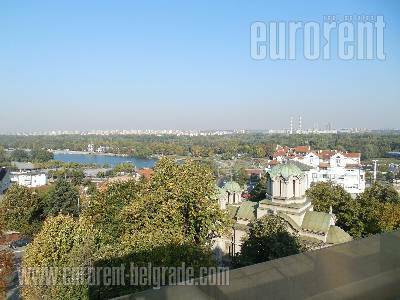 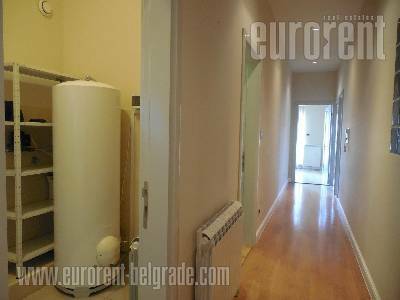 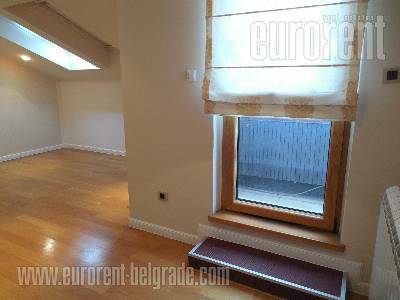 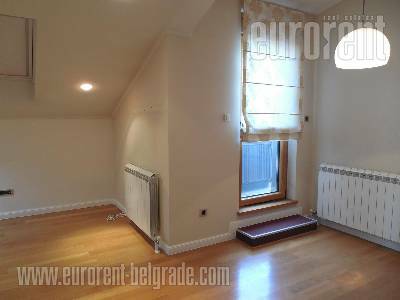 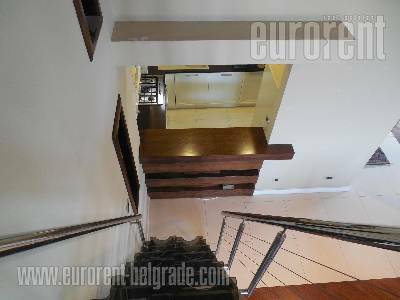 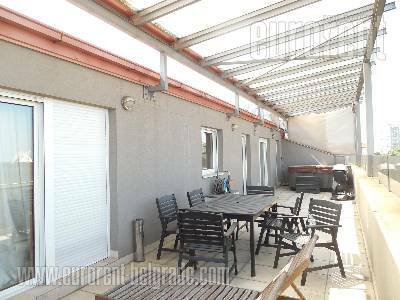 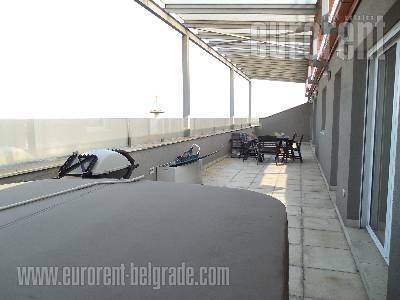 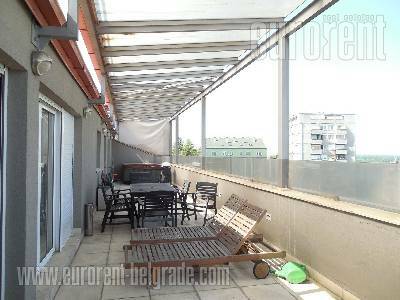 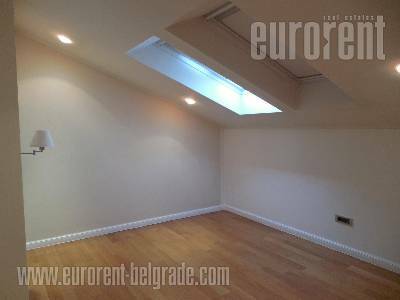 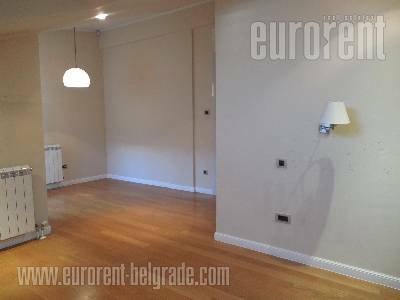 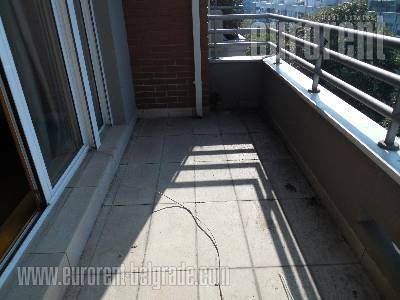 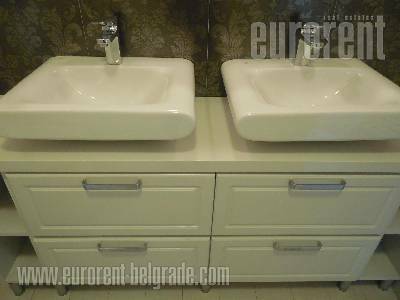 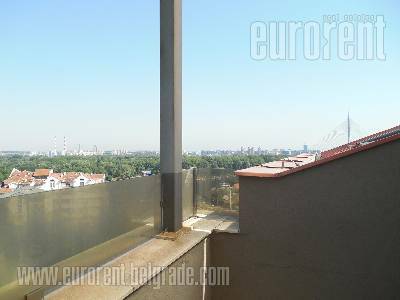 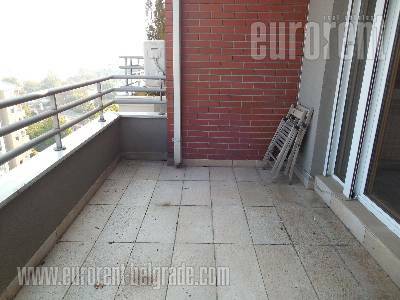 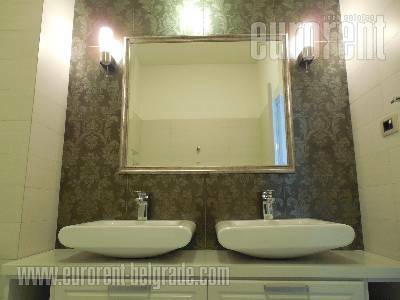 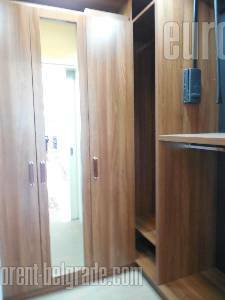 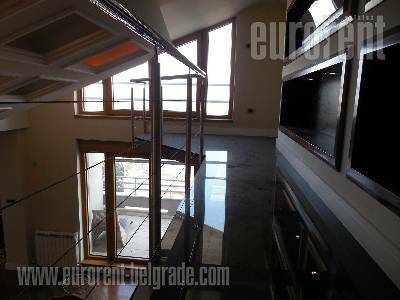 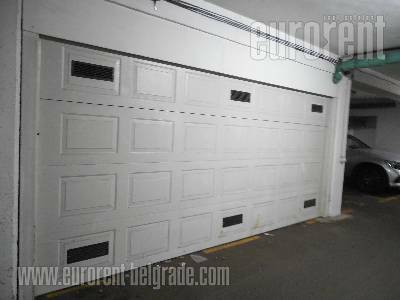 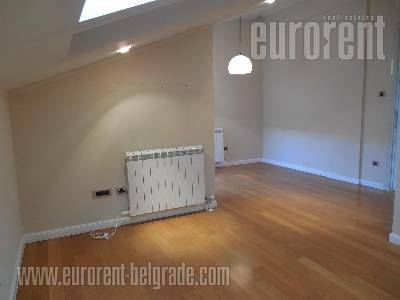 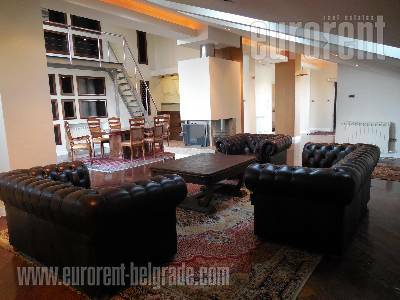 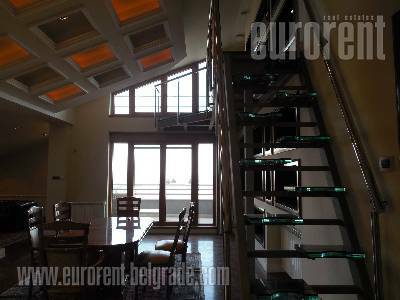 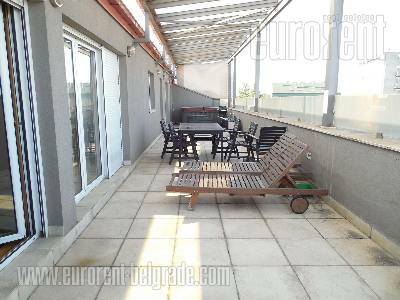 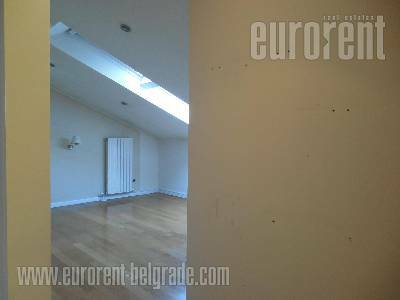 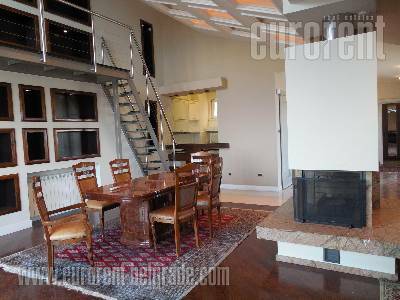 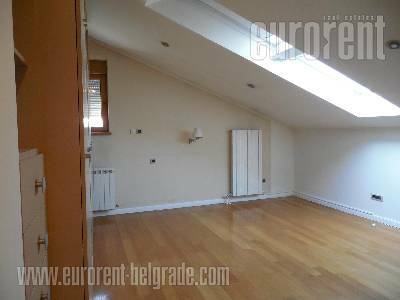 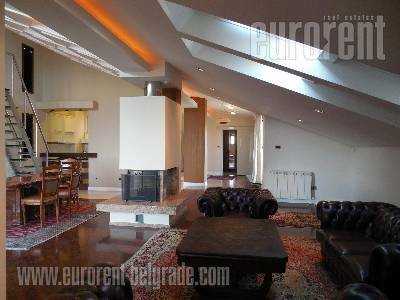 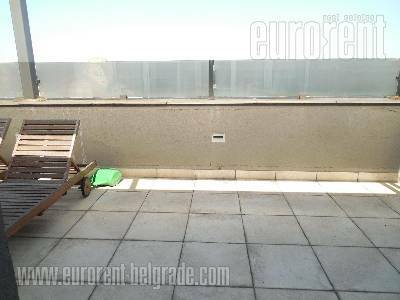 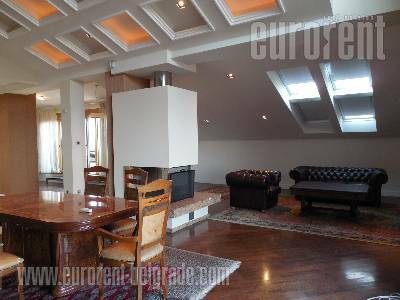 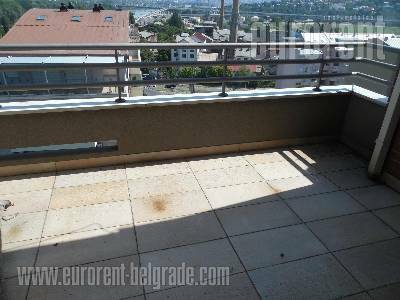 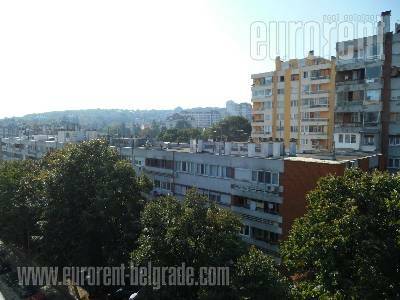 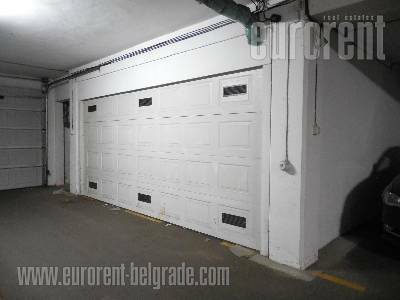 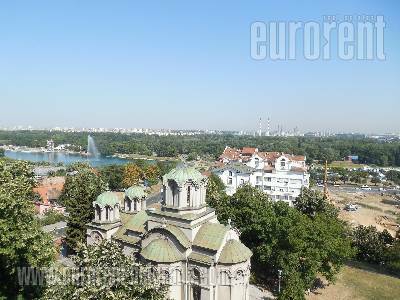 Excellent apartment housed on the sixth floor of a building located on Banovo brdo. 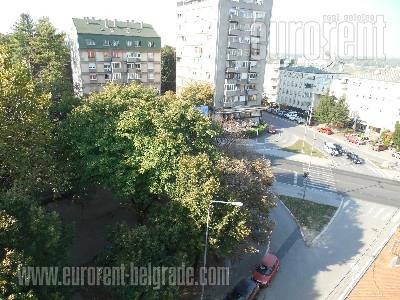 Quiet street, which connects two main traffic lines, with a few public transportation vehicles passing through. 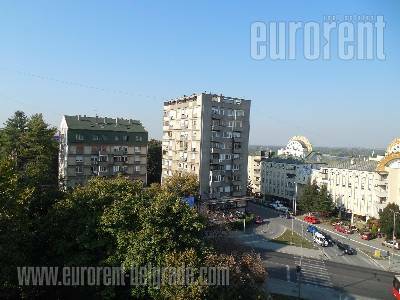 In near vicinity there is a supermarket, Ada Ciganlija, as well as Kosutnjak forest. 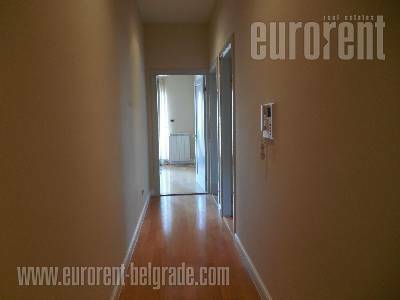 The apartment is ideal for families with children enrolled in nearby international schools. 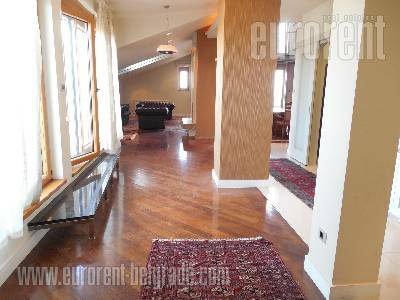 This is a comfortable penthouse abundant with natural light. 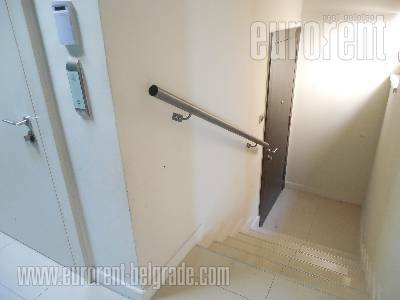 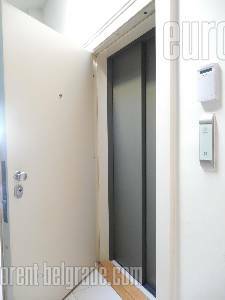 It has two entrances at disposal, one of them being the private elevator leading directly into the apartment, occupying it's central part. 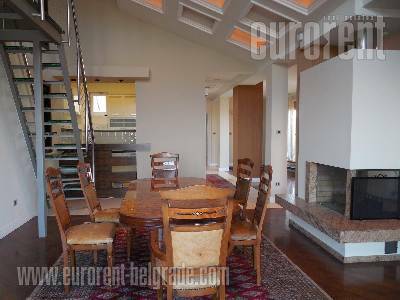 Living room with dining area and a walk-in wardrobe, exits to spacious terraces, which surround it. 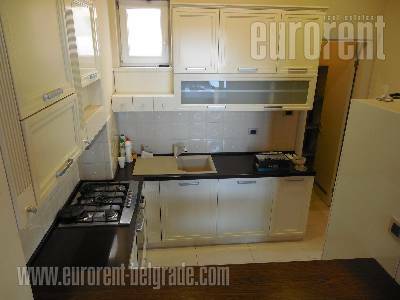 Kitchen is separated and fully equipped with necesaary appliances, it has a connection to the dining area through a bar. 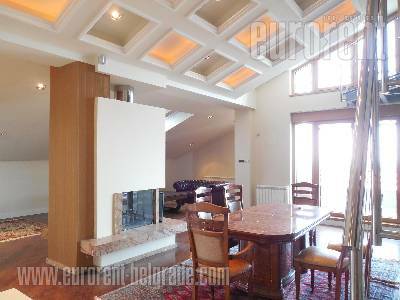 Living room has slightly slanted ceilings with rooftop witndows and a small library, while a terrace it exits on, is overlooking Ada, new bridge, as well as Hipodrom. 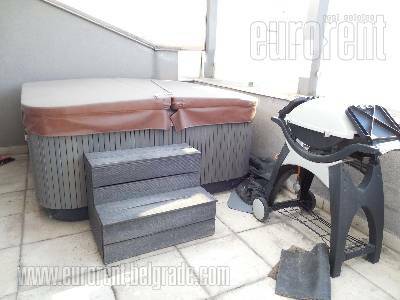 Terrace is covered, has a jacuzzi bathtub and a sitting set, ideal for relaxation. 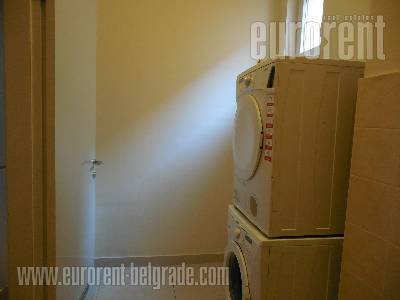 In this part of the apartment there is also a bathroom with a shower cabin and a bathtub, and a laundry room with washing mashine, dryer and a central boiler. 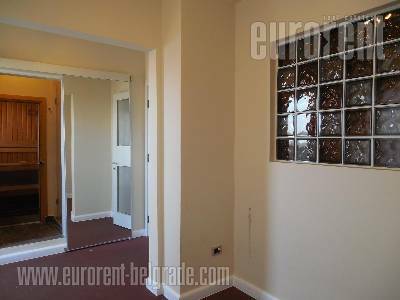 Additional room, used for recreation has a sauna and a shower cabin. 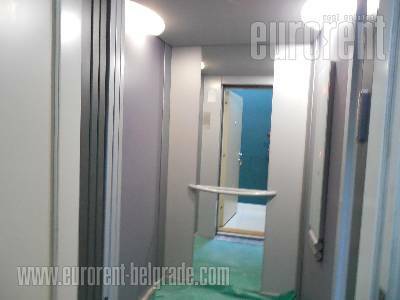 Sleeping block consists of three bedrooms, master bedroom having a bathroom with a bathtub. 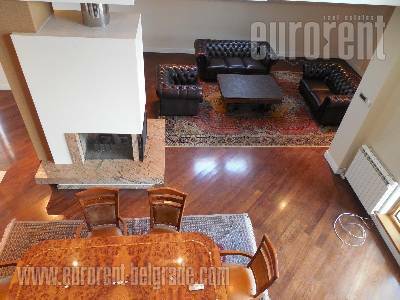 Interior is furnished with high quality, modern furniture pieces, while the lighting in the living room makes an interesting detail. 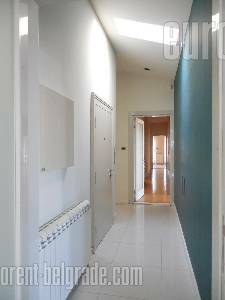 Whole space gives an impression of elegance and simplicity, without too many details. 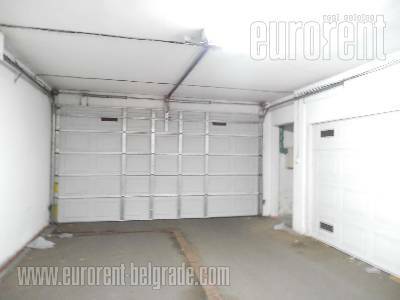 There are two garage spaces at disposal for the tenant in building's garage.